Social Media Marketing and Management, today, presents a great opportunity for people who are creative, have zeal for selling ideas, products, or anything and an addiction for social media and technology. I am sharing a very simple presentation that I had prepared for my class, explaining social media management as I understand. It would be great if you share your views, or feedback. It is mostly the consumer apps that make more news, are discussed more and of course, downloaded more. However; when it comes to mobile applications, it is not just all consumer mobile apps out there. In fact, there are plenty of enterprise apps or business apps available on most mobile platforms; all created with the purpose of making it easy for an individual or firm to manage work and get things done. In this post, we will be talking about the best mobile apps for business that are available on the Android Apps Market. These business apps simplify tasks and often come with a user-friendly interface. 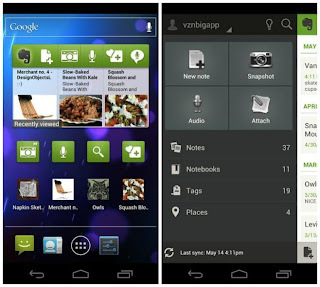 We are judging these android business apps on the basis of their usability, ease of use and the general look-and-feel. The need to read and edit documents is perhaps the most essential activity for people who need to use business apps. This amazingly powerful yet simple to use mobile app is also among the most popular enterprise app used. 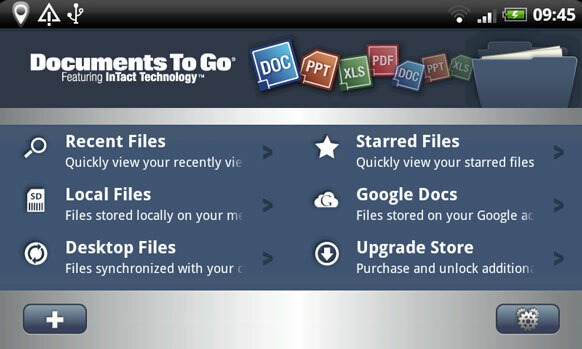 It lets you read, edit and create new documents on your SmartPhone with ease. A wide range of documents are supported including .doc, docx, xls, xlsx, ppt, pptx, pdf, etc. Version 3.0 is the latest and includes plenty more features such as support for desktop sync and external card. Very similar to the popular Google Docs, Google Drive is a full-fledged cloud storage and collaborative service. 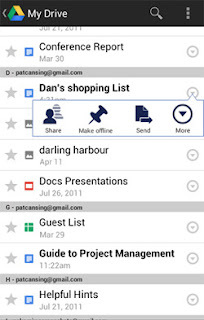 In fact, Google Docs is now completely integrated into Google Drive making the Drive more capable. The best part of Google Drive – you can edit, share or create documents and files with others in real-time and then save your work in the cloud, which can be accessed all across your team. All-in-all, Google Drive for mobile makes a great project management app, letting you achieve plenty of work even while you are on the go. 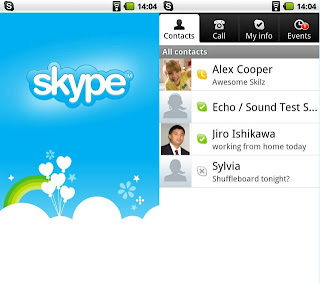 Skype has been a preferred choice for millions across the globe when it comes to making video calls and chatting. Skype for Android app lets users make full use of Skype functionality right from their smart cell phones. With this android mobile application, free video, voice call can be made (requires 3G or WiFi connection) to another Skype user anywhere in the world. One can even send photos, videos, and files across the Skype network, at no charge. In addition, calls can be made to mobile phones and landline numbers although these calls will be charged. Skype has long proved its worth for having long-distance calls, meetings and even interviews. No wonder; Skype mobile app is on the download list of many SmartPhone users. The newest version of the Skype app is available for download in the Android market. Multi-shot camera mode – it allows users to shoot multiple images with their phone camera and then save all of them to a single note. Sync support – it allows users to use the same Evernote account across different device/platforms. Page Camera function – a special feature that lets you use your SmartPhone like a scanner. 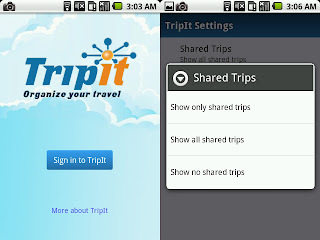 Trip It is a favorite travel related business app for plenty of executives. Simple, easy-to-use interface and the capability to sync all your travel details make this mobile app extremely useful for people who travel frequently for work. Trip It mobile app comes equipped with various features that lets it plan your business travel schedule with precision. This mobile application can access maps, reservations, flight details and more. It can sync your calendar with your travel entries and allows you to share your trip plans with office, family and friends. So, the above 5 android apps are the best apps for 2013 so far for android mobile users. Look out for the post where I share my thoughts on the top business iPhone apps (iOS apps) currently available.